McKenna Valencia begins her windup during a match against Taft College. 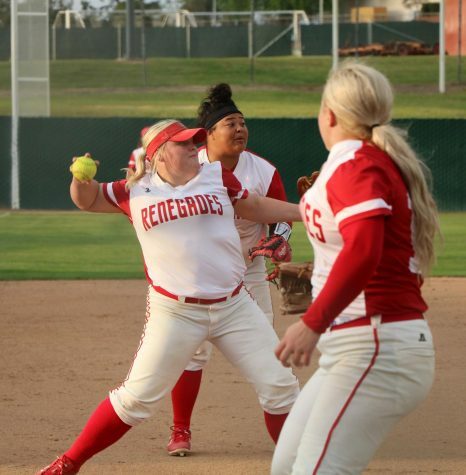 The Bakersfield College softball team started off the season a little slow with three losses but quickly bounced back in an impressive 7-0 win at their home opener against Taft College on Feb. 9. The Renegades offense scored three runs in the bottom of the second inning. After Alyssa Gonzales drew a walk from Taft pitcher Andrea Garner, Mckenna Valencia hit a double, sending Gonzales to third base. Back-to-back walks to Janelle Gutierrez and Alyssa Ruiz scored Gonzales from third. Up by one with only one out, Chelsea Herrera’s grounder forced out Valencia at home, despite a close call at the plate. Kathryn Alderete then singled, bringing Gutierrez and Ruiz home, giving the Renegades a 3-0 lead. 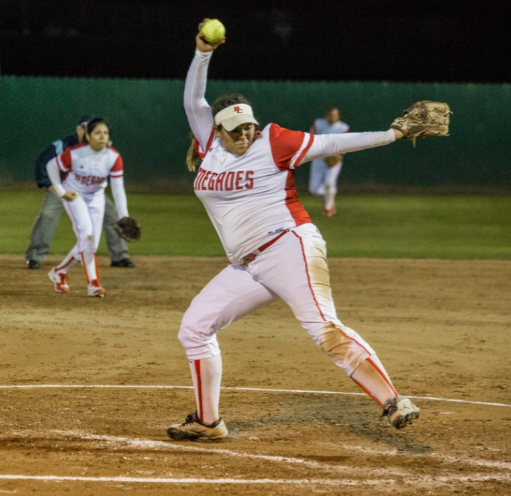 The Renegades came back in the bottom of the third to score two more runs on a single by Naisemarie Ubay that scored Alexis Solis and Gonzales. The third inning for Bakersfield was one of the busiest for their offense, as they scored two runs on four hits. In the bottom of the sixth inning, BC scored two more runs on as Alexis Solis drove in Kathryn Alderete and Zailey Luna. Defense was a big factor in keeping the game scoreless for Bakersfield, along with successful pitching by Valencia, who pitched six innings and faced 23 batters, allowing only two hits and three walks, while striking out six. Solis closed out the game in relief, giving up no runs on two hits in the final frame. Garner pitched a complete game, resulting in her first loss of the season, facing 30 batters, allowing seven hits, three walks, giving up seven runs, and two strikeouts. 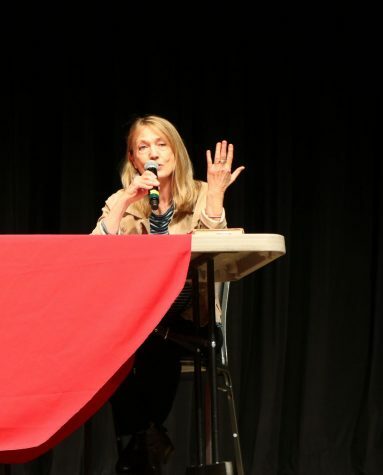 BC head coach Christie Hill was happy with the performance of her team, and felt like the team has finally found their stride after losing three games in a row and will use that night’s win as momentum.